By the end of the 60′s, Eric Clapton had been hailed as the greatest guitarist in the world. In fact, some thought he was God. And then Jimi Hendrix came along. Was the reigning champion being replaced? From all accounts, Clapton felt that he had been, and he was looking for a new direction. In 1970, he released the single ‘After Midnight’, his first successful solo recording. There were no long extended solos, in fact his guitar playing was notably subdued. The song was part of his first solo album ‘Eric Clapton’. 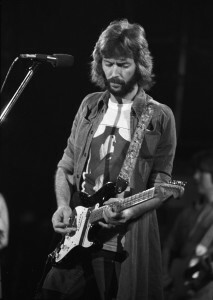 It showcased Clapton less as a guitarist and more as a singer and ‘mood-setter’. It set him firmly on the road to a very successful solo career. To learn more and to find how Clapton influenced Markus K click here.